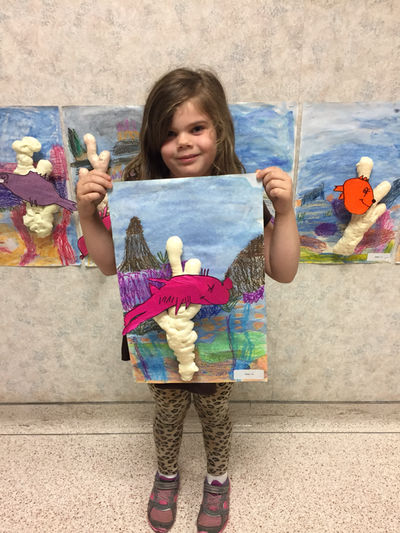 2017-2018 began with the Kindergarten students learning the rules of the Art room and listening to a story and drawing the details they remembered. I begin manyn lessons with a story to reinforce their pre-reading skills. Students on E day will begin creating their elements of art and principles of design journal pages. These will include Color, Line, Shape, Pattern, Texture, Value, and Contrast. I love to see Kindergarteners learn. Everything is so new to them and it is exciting and inspiring to teach them. I started off the year with shapes and colors. This tied in nicely with the American artist, Mark Rothko. He is best known for his geometric shaped paintings where he created his own colors. 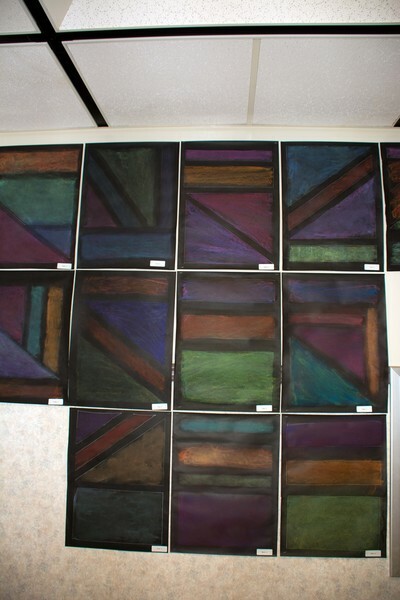 Students used large stencils to create the shapes in their large scale work. They chose which shapes worked together to fill up the space. Each piece is different. They then practiced blending colors with crayons, then chalk, and then finally applying two analogous colors together to create a new color. It was messy, but they had fun! It is important for the students' reading skills to be reinforced outside their regular classroom. I do this by creating a project that is based on a book. This year we read "Plantzilla". It was a very funny book that had wonderfully colorful illustrations. 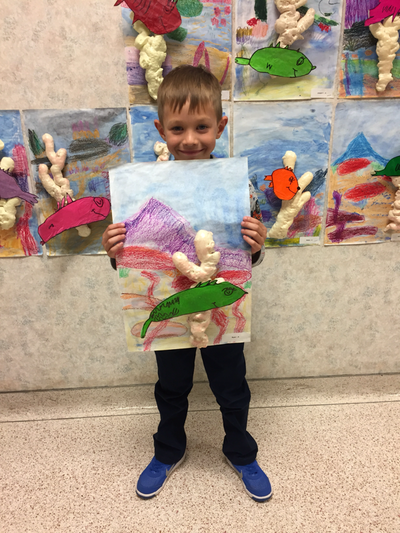 We took this as our inspiration to create a sculptural piece of art. 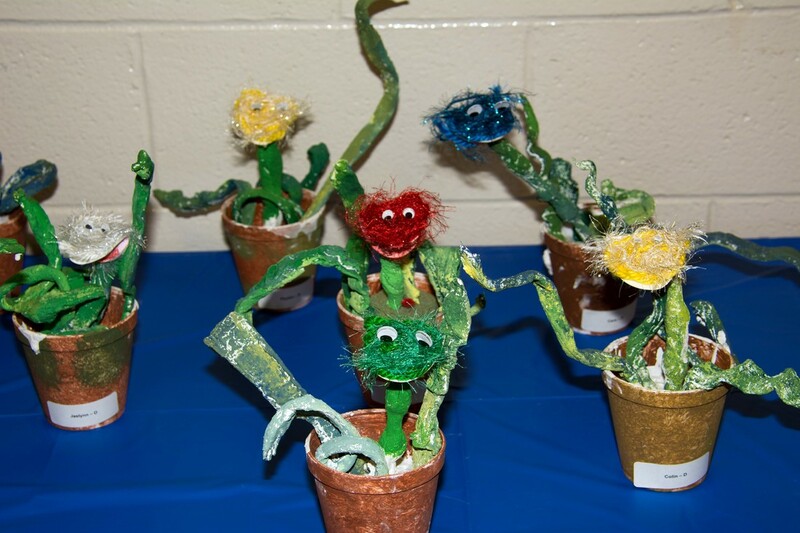 The students began by sketching out Plantzilla from the book and then figuring out how we would create this two dimensional picture into a three dimensional sculpture. Students practiced recognizing and drawing various lines and shapes. They used plaster strips for leaves, pipe cleaners, beads, yarn, and he finishing touch of googly eyes to create the art. 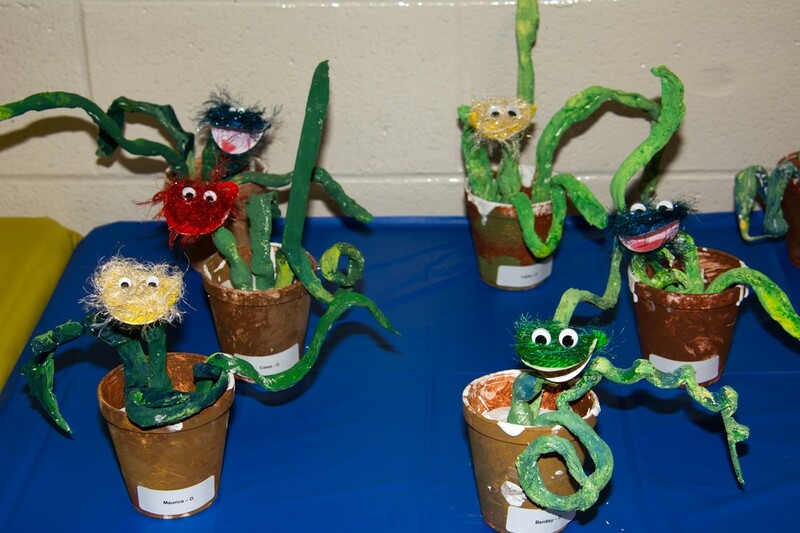 Once the plant was finished the students painted their pot to look like terra cotta and their Plantzilla now had a forever home. These were one of my favorite works this year. Who doesn't love Walt Disney and Dr. Suess? These two artists were the inspiration for our under the sea project. We began by studying the backgrounds of the "Finding Nemo" movie. The students learned about foreground, middle ground, background, and overlapping when creating art. This makes the viewer see depth in the piece, like they could walk...or swim, through it. 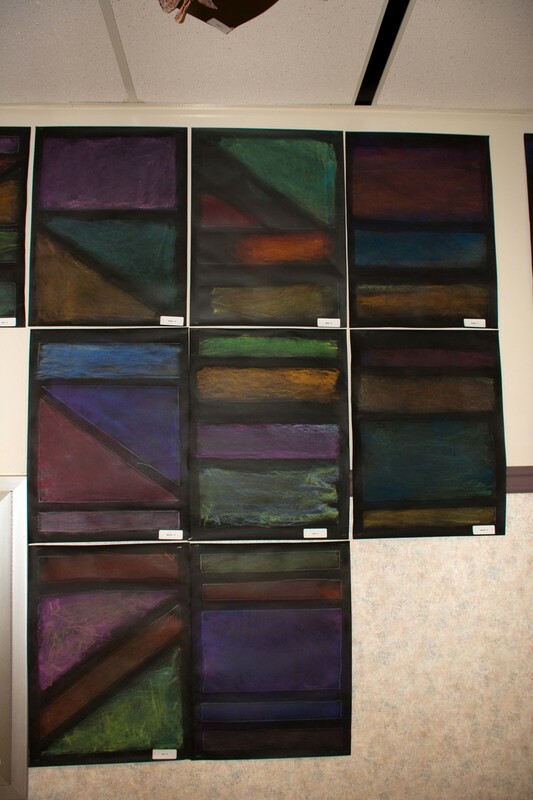 They began by sketching their ideas from several printed sources, then created their final background using oil pastels, watercolor paints, and salt. I created a reef from spray foam, which the students painted with food coloring. The fish was based off of the book, "One Fish, Two Fish, Red Fish, Blue Fish", by Dr. Suess. 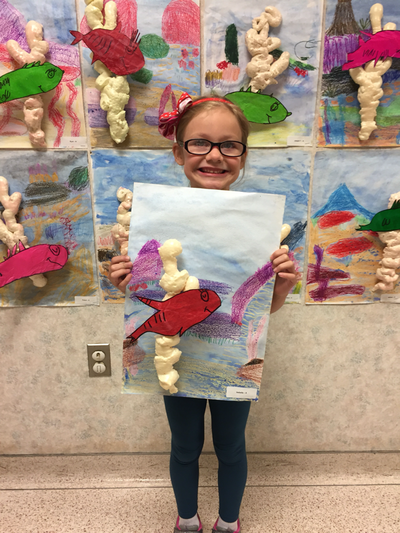 They observed several illustrations of fish and then drew their version and covered it with tissue paper and glue. I would love to swim in any of these oceans!